Attorney General Eric Holder said prosecutors are working with regulators to ensure that charges don't mean a bank loses its federal regulatory charter. Can prosecutors bring criminal charges against a bank without rocking the financial system? 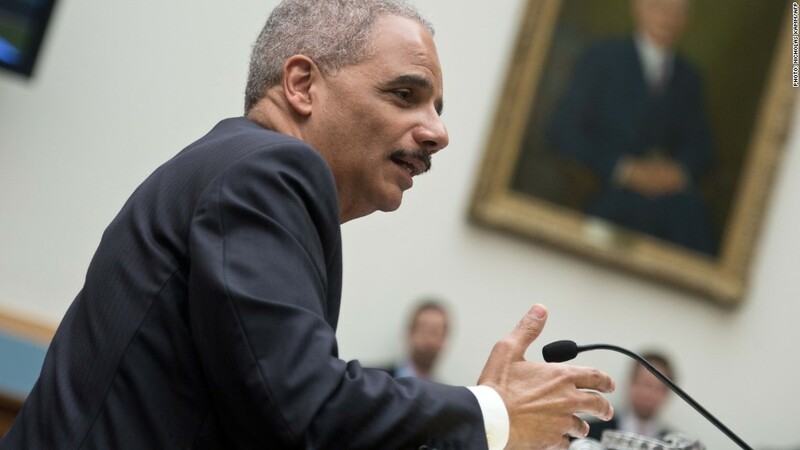 That question has dogged Attorney General Eric Holder for the past few years -- even as his Department of Justice has extracted multi-billion dollar settlements from banking giants like JPMorgan Chase (JPM). But those settlements typically netted no admissions of wrongdoing, and critics say law enforcement should do more: charge the banks themselves with breaking the law. Officials are now confronting the question again as investigations into Credit Suisse (CS) and BNP Paribas run their course. The two banks are expected to settle long-running probes by agreeing with prosecutors to criminal guilty pleas in coming weeks, according to U.S. law enforcement officials. Authorities' broader goal is to show that when it comes to corporate wrongdoing, "there is no such thing as 'too big to jail,'" Holder said in a video message released Monday. 'Too big to jail' is an odd terminology, given that a company can't be jailed. But it's a term that has resonated with critics who believe the Justice Department has failed to be tough enough. Left unsaid is the fact that even if a bank pays massive fines, senior executives who made disastrous decisions have largely escaped prosecution. Part of the problem for Holder is that he has spent the past year trying to undo a miscue of his own making. At a congressional hearing in March 2013, Holder said he feared some banks may be too big to prosecute. ​He took back the comment two months later. A test case from 2012 showed it is possible for a bank to continue functioning after prosecutors obtain a guilty plea. 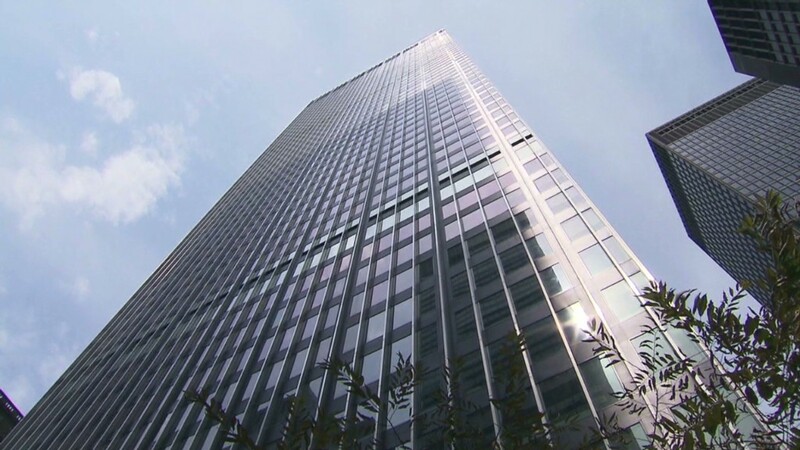 A Japanese subsidiary of Swiss bank UBS AG (UBS) pleaded guilty to a single count of wire fraud as part of an agreement to pay a $100 million fine and admit interest rate manipulation. UBS suffered no fallout from the guilty plea. In his new video message, Holder didn't mention any companies by name but addressed a concern with holding banks criminally accountable. He said prosecutors are working with regulators to ensure that charges don't mean a bank loses its federal charter. That could cause the bank to go out of business, meaning job losses and damage to the global economy. "So long as this coordination occurs, it is fully possible to criminally sanction companies that have broken the law, no matter their size," Holder said. The BNP Paribas case deals with alleged money laundering violations and the bank's alleged failure to stop transactions from banned countries including Sudan, Iran and Cuba, according to U.S. law enforcement officials familiar with the talks. A settlement with Credit Suisse would be more complicated. A probe by the Justice Department's tax division has focused on Credit Suisse offshore banking services that allegedly helped U.S. clients hide assets from the IRS. Talks are ongoing for a settlement under which a Credit Suisse unit could plead guilty and pay a billion-dollar fine. One hurdle has been deciding which Credit Suisse unit could be used for the guilty plea. On Friday, Holder met with Swiss finance minister Eveline Widmer-Schlumpf to discuss the U.S. crackdown on Swiss banks and other issues. The Credit Suisse case began shortly after UBS settled similar charges for $780 million in 2009. But unlike the UBS case, in which prosecutors used tough tactics to force the bank to hand over names of U.S. clients, the Credit Suisse probe has dragged on. At a Senate hearing in February, Sen. Carl Levin criticized the Justice Department for not being tough enough. Levin said the government should use tactics like a "John Doe" summons, which would require the bank to produce information on clients the IRS doesn't even know the identity of. Levin argued prosecutors could also issue material witness warrants to temporarily arrest bankers. Both strategies were used in the UBS case but haven't been employed in the Credit Suisse investigation, according to people familiar with the matter. Credit Suisse, which declined comment for this article, has said it is cooperating with the probe. Its CEO told a Senate panel that while the bank regrets legal violations, it blames lower-level employees for violating bank policies and the law. Two former Credit Suisse employees have since flown to the U.S. and pleaded guilty in federal court to aiding tax evasion. They have said senior managers were aware of their actions and are now cooperating with the Justice Department probe.